New Media – detects new media under watched folders and adds them to iTunes. 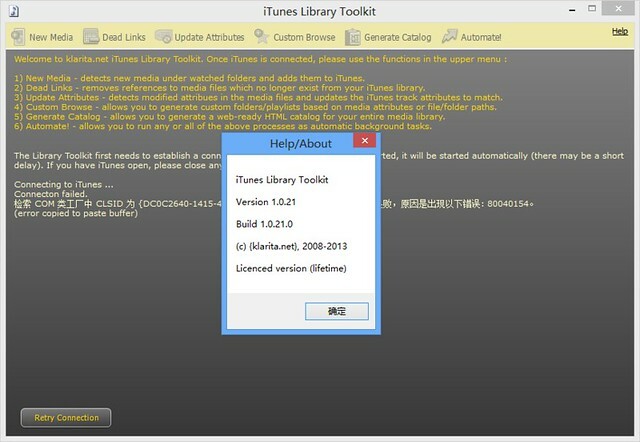 Dead Links – removes references to media files which no longer exist from your iTunes library. Update Attributes – detects modified attributes in the media files and updates the iTunes track attributes to match. Custom Browse – allows you to generate iTunes playlists in a folder structure based on media attributes (tags), or based on the source folder/file structure. This provides a new customisable way to browse your media library hierarchically. Generate Catalog – allows you to generate a web-ready HTML catalog for your music library with embedded youtube-instant links (example using vanilla theme) – it is fast and responsive even for large collections. Automate! – allows you to run any or all of the above functions as automatic background tasks.